Running till December 22nd, the PvP event will allow players to earn 33 light gear. Destiny’s Iron Banner event has returned with Lord Saladin occupying his prime spot in the Tower and inviting any and all Guardians to fight for new equipment. Iron Banner rank has been reset this time so you’ll need to work your way up the ladder once more to fight for some of the new gear which includes Iron Regalia Gauntlets and the Efrideet’s Spear sniper rifle. 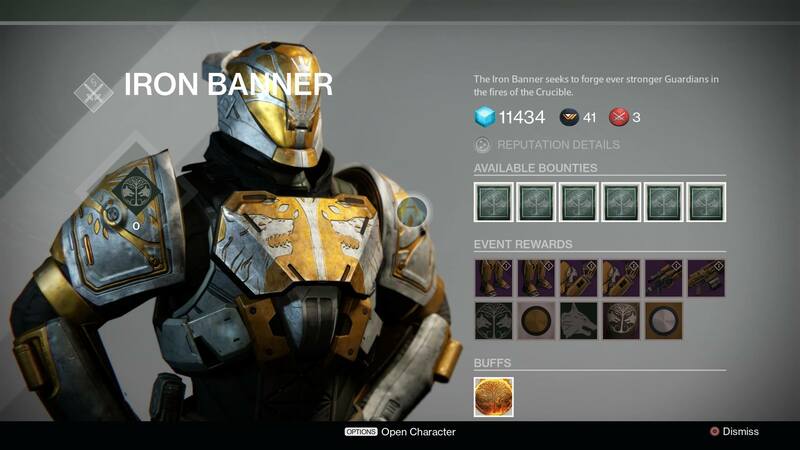 The Iron Banner will be taking place from today till December 22nd. It should be noted that as with the last event, players’ attack, defense and level will actually make a difference in PvP. So if you find it difficult to effectively murder a Titan that’s two levels higher than you, that’s the reason. Iron Banner Reputation will only be awarded to match winners but those who lose will receive tokens which will result in increased Reputation gains when they win the next match. You can also activate a Tempered buff to gain increased Reputation for a fixed amount of time.